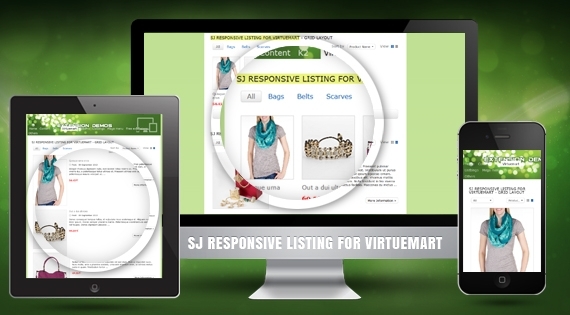 SJ Responsive Listing for VirtueMart has been released. This module is built for showing all your products in categories with cool effects navigation. Module supports displaying multiple categories according to tabs, the viewer can easily to sort products or change the viewing right on front-end with 2 layouts (grid/list view). Specially, you can show more products in a category with "Load more" button.